Below you can view all the homes for sale in the River Chase subdivision located in Sandy Springs Georgia. 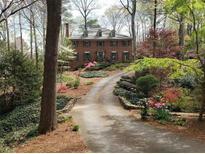 Listings in River Chase are updated daily from data we receive from the Atlanta multiple listing service. To learn more about any of these homes or to receive custom notifications when a new property is listed for sale in River Chase, give us a call at 404-998-4017. The Daylighted Terrace Has 9 Foot Ceilings & Is Expansive And Open. MLS#6529272. Coldwell Banker Residential Brokerage. Finished Terr Level W/ Bed/Bath, Updated Media/Entert Space, 3rd Garage & Storage/Workshop. MLS#6522003. Keller Williams Rlty-Ptree Rd. Deluxe Master Suite Plus 3 Bedrooms Up, Finished Terrace Level, Finished 3rd Floor Suite & Entertaining Patio Complete This Gorgeous Home. MLS#6502997. Coldwell Banker Residential Brokerage.